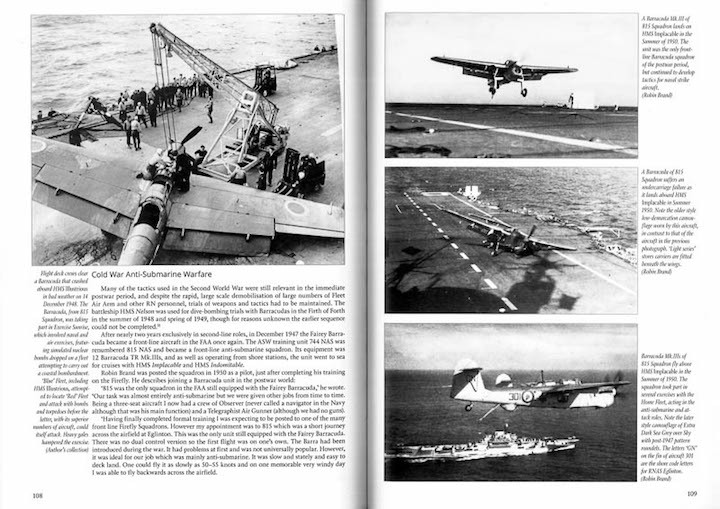 Over 2500 of the carrier-based Barracuda torpedo and dive bombers were delivered, more than any other type ordered by the Royal Navy at that time—and still it couldn’t shake the reputation of being, as Willis says right in his first sentence, “among the most reviled aircraft of WW II.” He’s also quick to call it a victim of “muddled thinking” which might have similarly hobbled the only other prototype (by Supermarine) that had been selected by the Air Ministry in 1937 out of the six proposals for a TRB—Torpedo/Recon Bomber. As he has done for the Fairey Flycatcher, Willis (b. 1976) examines both the good and the bad and manages once again to rehabilitate a grossly misunderstood aircraft. And again we say that his background as a naval aviation historian and novelist flavors Willis’ writing style in a most appealing way. Side note: if battleships are your main interest you’ll probably recognize the Barracuda as a highly competent raider, not least of the German Tirpitz. For the money, these books offer an enormous amount of original research from primary sources (actual period manuals, interviews with pilots and maintainers, action reports etc. 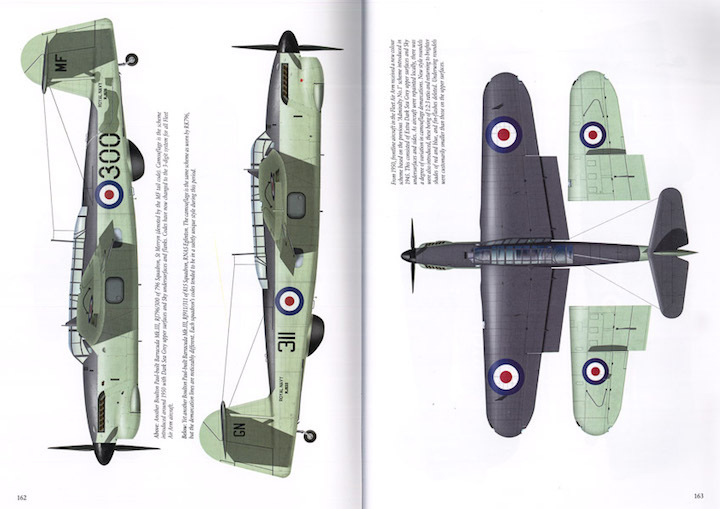 ), scores of images that are new to the record, and pages of scale plans and color drawings to show markings and paint schemes. Matthew Willis was born in the historic naval town of Harwich, Essex in 1976. Matthew studied Literature and History of Science at the University of Kent, where he wrote an MA thesis on Joseph Conrad and sailed for the University in national competitions. He subsequently worked as a journalist for Autosport and F1 Racing magazines, before switching to a career with the National Health Service, where he wrote everything from press releases to consultation papers. His first non-fiction book, a history of the Blackburn Skua WW2 naval dive bomber, was published in 2007. He currently lives in Southampton with his University lecturer wife Rosalind, and writes both fiction and non-fiction for a living. This is Matthew Willis fifth book, and fourth with Mushroom Model Publications. Matthew has also been published in four short-story anthologies with author J. A. Ironside. He has also authored many feature articles in aviation and scale modeling magazines. You can find Mathew Willis on Facebook at https://www.facebook.com/daedalusandthedeep/ and follow him on Twitter at https://twitter.com/NavalAirHistory . He also has a blog at http://airandseastories.com/ for his fiction stories. The Fairey Barracuda was a carrier torpedo and dive bomber that was designed to replace the Royal Navy Fleet Air Arm’s biplanes, the Fairey Swordfish and the Fairey Albacore. The Barracuda was designed to British Specification S.24/37 and made its first flight on December 7, 1940. Its primary competitor, the Supermarine Type 322’s first flight wasn’t till 1943 after the Barracuda was already in full production. The Barracuda was the FAA’s first all metal aircraft to fill this role, entering service on Janaury 10, 1943 with 827 Squadron. The Barracuda’s early service was plagued with a number of fatal crashes that gave the airplane an ill reputation. Interestingly, one of the biggest problems was with hydraulic leaks, with the most common leak being the pilot’s hydraulic pressure gauge. It wasn’t till 1945 that the mystery of the hydraulic fluid spraying into the pilot’s face was attributed to the hydraulic fluid containing ether. 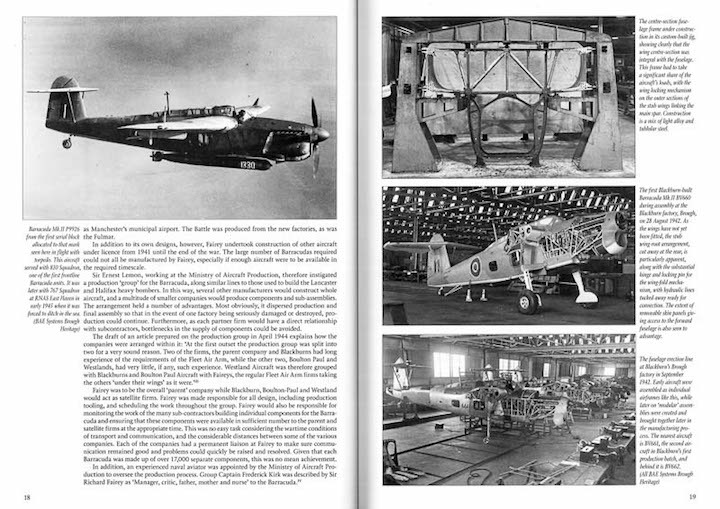 Over 2,600 Fairey Barracudas were delivered and sadly, not a single complete example of this aircraft has survived. This tome provides some of the most thorough coverage on the Barracuda yet published. David Brown’s 1972 Aircraft Profile number 240 on the Barracuda provided 24 pages. Warpaint 35 covered the Barracuda authored by W.A. Harrison and was published in 2004 and clocked in at 36 pages. Ad Hoc Publications’ 2012 release from their ‘From the Cockpit’ series (number 16 by Robert McCandless) comes close with 144 pages, but unfortunately I don’t have a copy of it. One section that caught my attention was the one on ‘Cuda Floats’ [Page 72]. In preparation for Allied landings against Japan, trials were conducted at Boscombe Downs. Although not definitive, it appears that the containers at eight-feet in length, two-feet wide, and two-and-a-half feet in depth may have been meant to carry paratroopers since the evaluation was conducted with the Airborne Forces Experimental Establishment. Each ‘float’ had front and rear doors that were pilot operated. This effort did not proceed beyond testing, but I have to wonder about the sanity of a paratrooper willing to ride in this ‘float’ for literally hours only to wait until the pilot opens the ‘doors’ so they can parachute to their target. Maybe it could be a thrill ride at a theme park? Special Hobby produces a nice mixed media 1/48 Mk.II and after-market companies make it possible to get to the Mk.III and Mk.V Barracuda. In 1/72, you get the old tried and true generic Barracuda Mk.II from Frog (Air Lines, UPC, Hasegawa, and Novo) kit along with a resin Planet Models kit of the Mk.5. MPM (Special Hobby) gets you a Mk.II and a Mk.III. 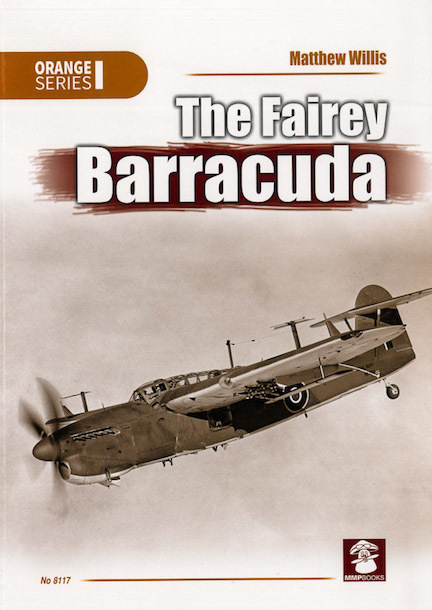 Matthew Willis has delivered a great history on the Fairey Barracuda that not only covers the development and operational history, but provides a good basis for the modeler with nice detail shots. I counted 219 black and white photographs. You also get 28 color plates from JP Vieira and 10 black and white scale drawings from Dariusz Karnas. Mushroom Model Publications’ has provided a page by page preview at: http://mmpbooks.biz/ksiazki/337 .